Walter Bedell Smith had a successful military career, with jobs from Eisenhower's Chief of Staff to becoming the United States Ambassador to the Soviet Union, to later becoming an author. Smith served in the United States Army from 1911 to 1946 and 1949 to 1953, with a three year hiatus where he served as the US Ambassador to the Soviet Union. Most notably, Smith became a four-star general through a full forty-three years of service in the United States Army. Smith was born in Indianapolis, Indiana on October 5, 1895 to a middle-class family. 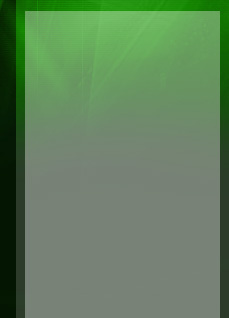 He attended St. Peter and Paul's School. He later attended Butler University, but was forced to leave due to a family matter: his father had become an invalid so Smith needed to earn money for the family. In spite of his lack of education, Smith was determined to become a well read man and did so by reading many books and articles. At the age of 16, in 1911, he joined the Indiana National Guard. He enjoyed success as he became a First Sergeant after only two years. In 1917, Smith's company commander recommended him for officer training school. Upon completion of the Officer Candidate Training Camp, Smith was appointed a lieutenant in the Us Army. He served during World War I in the 4th Infantry Division in France and was wounded while in Saint-Mihiel. Following World War I, Smith continued to gain acknowledgment and importance in the Army. As an infantry officer, he was given various jobs such as being a teacher and the assistant to the chief coordinator of the Bureau of the Budget. In 1931, while he was at the Infantry School, Colonel George Catlett Marshall noticed him and his potential. Upon graduation, Smith was appointed Assistant Secretary of the War Department General Staff by Marshall. Marshall continued to recognize Smith by giving him more positions as well as suggesting Eisenhower to take Smith as the Chief of Staff. 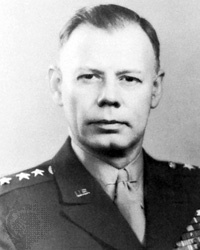 In January of 1943, Smith was promoted to Lieutenant General and by December of 1943 Eisenhower appointed him Chief of Staff of the Allied Forces. Smith also negotiated and signed the terms of surrender in Italy that same year. Smith's military career continued to gain presence, in spite of the fact that Smith was not from West Point. Eisenhower was greatly impressed with Smith and described him as “a Godsend- a master of detail with clear comprehension of the main issues”3 while others called Smith, Eisenhower's “hatchet man”7. For instance, when Eisenhower was unhappy with General George S. Patton, he had Smith discipline Patton. 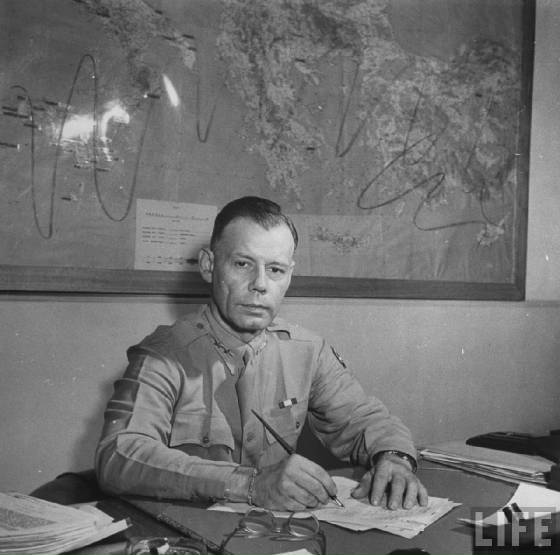 In 1945, Eisenhower appointed Smith Assistant Chief of Staff for Operations and Planning but in 1946 appointed U.S. Ambassador to the Soviet Union in 1946 until 1949. During this time, Smith negotiated and signed the terms of surrender of Germany. He also wrote My Three Years in Moscow. When Smith returned to the United States in March of 1949, he was appointed Commanding General of the First Army. 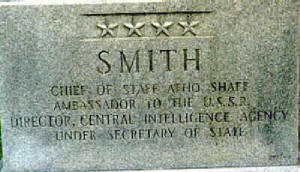 Later on October 7, 1950, Smith was appointed Director of Central Intelligence until he retired from that post in February of 1953. Afterwards, he served as Under Secretary of State for about a year. Walter Bedell Smith retired in 1954 after forty-three patriotic years. He became a founding member of the controversial Bilderberg Group and wroteEisenhower's Six Great Decisions. However, in 1956, he accepted a special assignment as a special assistant on foreign policy to President Eisenhower. Smith was not in good health after the many exhuasting years of his long and stressful military career. He died of a heart attack at Walter Reed Hospital in Washington DC on August 6, 1961, and was buried at the Arlington National Cemetery in Section 7. Smith is buried there with his wife of forty-four years5, Mary Eleanor Smith. 2Bradley, Omar N. Bradley- A Soldier's Story. Rand McNally & Company: Chicago, 1951. 3Montague, Ludwell Lee. General Walter Bedell Smith As Director of Central Intelligence: October 1950-February 1953. Pennsylvania: Pennsylvania State Univ Pr, 1992. October 5, 1895 – Born in Indianapolis, Indiana, U.S.